Sky Clean can meet the needs of high rise buildings, hospitals, university and college campuses, federal buildings, and historical sites. We access high and difficult to reach areas via multiple modalities: ropes, poles, ladders, and aerial lifts. Sky Clean is fully insured and adheres to all OSHA guidelines and the I-14 Standard. We maintain a low profile while on site and work to quickly and efficiently get your windows sparkling. 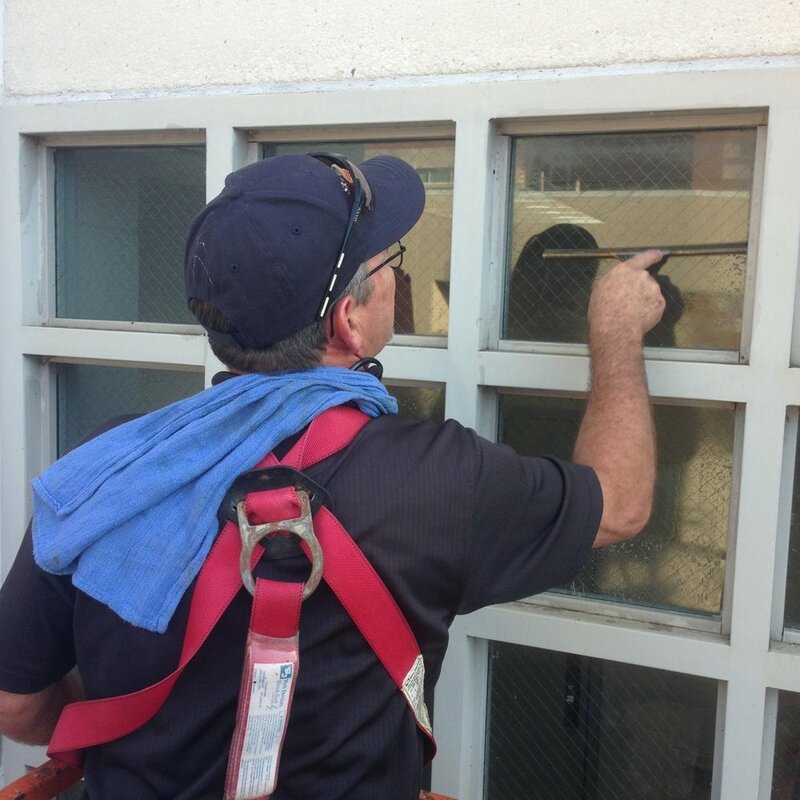 Sky Clean provides commercial window cleaning in Asheville, Charlotte, Greenville, Columbia, Knoxville, Greensboro, and beyond. Our current commercial clients include The Grove Park Inn & Spa, Central Piedmont Community College, Clemson University, Appalachian State University, Mission Hospitals, East Tennessee Children's Hospital...just to name a few! To find out more about our commercial services, click on one of the buttons below.